Many bottles served during the last war. Finally, just one bottle was survived. Many people need clean water and there are few places to find. The bottle itself was contaminated but keep pure water inside it. The only hope is the last bottle. It is struggling to find the way to reach us. 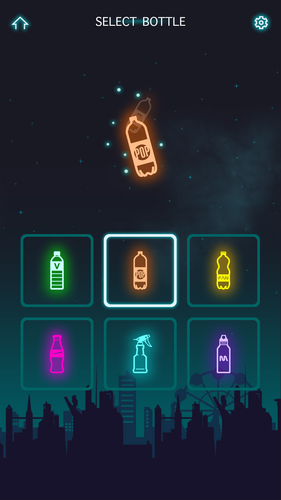 The bottle has an unique skill named the flip jump which no one can do. 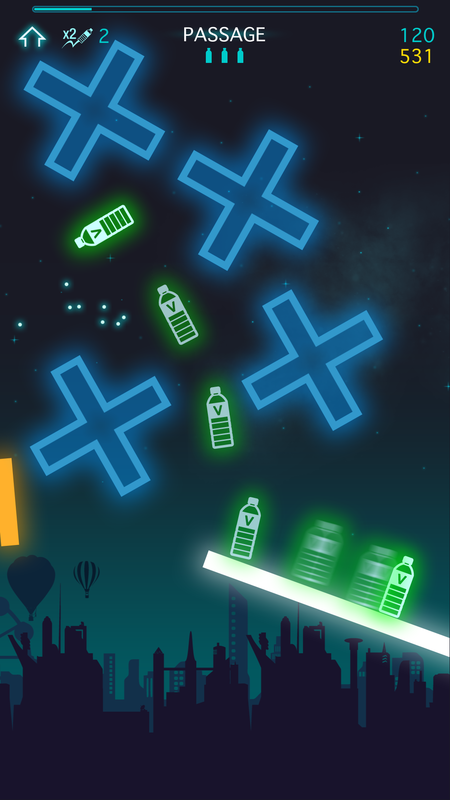 The bottle can jump from any position and can land to every place with it's outstanding sense of balance. It keeps try to bring clean water for someone desperately needs it. That’s all the story you need to know about "Bottle Ground - The Flip". 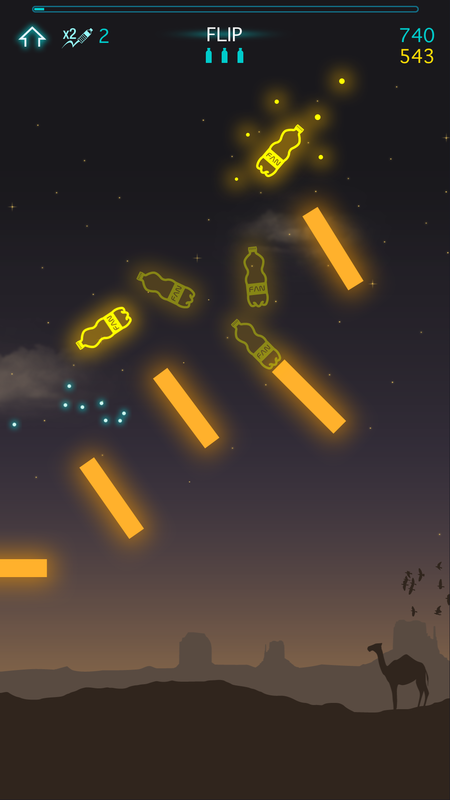 Your water bottle keeps tumbling off to the right, propelled by gravity, some sort of bottle physics, and your finger taps. 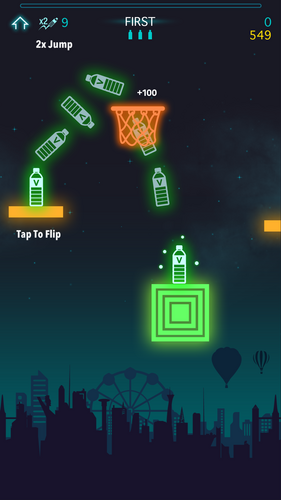 Each tap launches another flip. The bottle get more doubled air jump skil when you get enough coins. Flip the bottle onto various radioactively contaminated barriers and obstacles keeping it in motion, until you reach a goal. 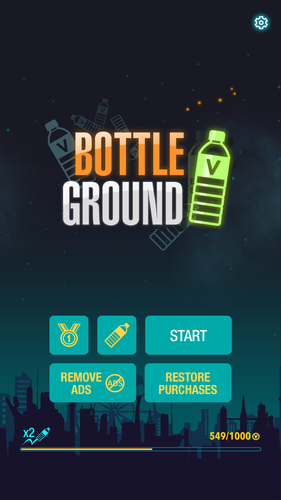 If you miss just small landing, the bottle falls to the dark ground, and the game is over. You have to start again from the beginning of the level. It's not impossible. 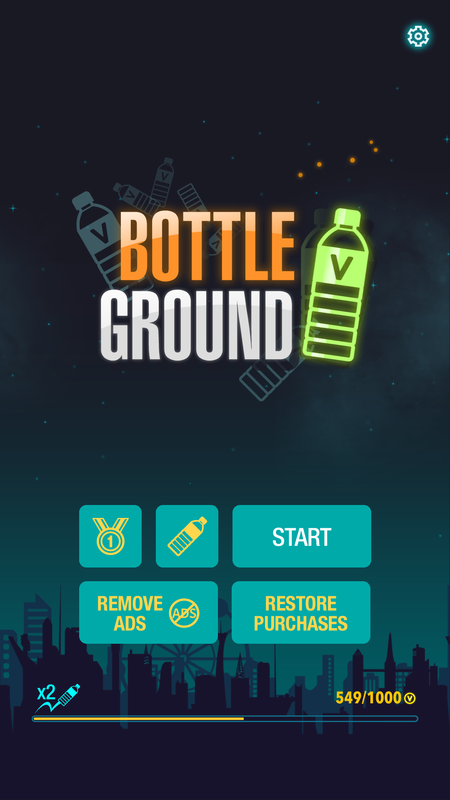 The Bottle says "Try hard"
There are more stages in mobile version. The game is great, but it has an bug: When the bottle lands next to an tower of bottles your stuck. you cant jump. Really well done graphically. It's frustrating to play, but it's meant to be :-) You could make the "fail" time even slightly shorter than it is, I think. Nice job! Pretty funny idea and the game is fun to play too. The difficulty is about right, the levels require some trial and error as you go look and think how the next place could be cleared, but thankfully restarting is quick. I cold see this being an entertaining game to play on phone in whatever place. I'd love to see this game in our Game Development World Championship! Thanks. We enrolled the GDWC! Unique idea... haven't seen something like this before. Nice job!